In SpainForSale.Properties Real Estate News we are talking about the considerable revaluation of the price of housing that has been taking place during the last years in Marbella, acting this, among other areas, as an advance train in the recovery of the value of real estate in Spain. With and exponential growth in Marbella’s best residential areas. – Exclusive Villas Sales in Santa Margarita, Marbella. | SpainForSale.Properties Luxury Real Estate For Sale & Rent. – Luxury Villas For Sale in Las Torres, Marbella. | SpainForSale.Properties Exclusive Real Estate For Sale & Rent. 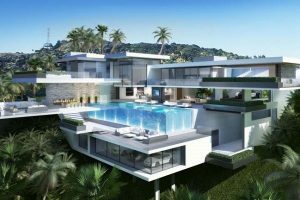 – Exclusive Villas Sales in Sierra Blanca, Marbella. | SpainForSale.Properties Luxury Real Estate For Sale & Rent. – Luxury Villas For Sale in La Zagaleta, Benahavis. | SpainForSale.Properties Exclusive Real Estate For Sale & Rent. – Exclusive Villas Sales in Cascada de Camojan, Marbella. | SpainForSale.Properties Luxury Real Estate For Sale & Rent. – Luxury Villas For Sale in Los Flamingos, Benahavis. | SpainForSale.Properties Exclusive Real Estate For Sale & Rent. – Exclusive Villas Sales in Nueva Andalucia, Marbella. | SpainForSale.Properties Luxury Real Estate For Sale & Rent. – Luxury Villas For Sale in Guadalmina Baja, Marbella. | SpainForSale.Properties Exclusive Real Estate For Sale & Rent. – Exclusive Villas Sales in Los Monteros, Marbella. | SpainForSale.Properties Luxury Real Estate For Sale & Rent. – Luxury Villas For Sale in El Madronal, Benahavis. | SpainForSale.Properties Exclusive Real Estate For Sale & Rent. These are the 10 Most Exclusive Areas on the Costa del Sol. The Most Expensive Areas in Marbella, Spain, which is therefore also Most Expensive Areas on the Costa del Sol, is Santa Margarita, an elegant and very private enclave just off the famous Golden Mile that runs close to the sea from Puerto Banús to Marbella’s centre. This finest address is conveniently located close to the beach, Puente Romano hotels and the famous Marbella Club, the latter’s stylish racquet club, sumptuous beach clubs and seaside nightclubs, shops, boutiques and restaurants, and yet it is also very private and secure, lined not just with luxurious villas – that wouldn’t be so unusual in Marbella – but with grand estates running down towards a beach lined with exclusive beach clubs. Most expensive properties for sale in Marbella. | SpainForSale.Properties. The Most Expensive Areas in on the Costa del Sol, beats even the most expensive streets in Madrid and Barcelona. At 30.000 euros per square metre, it is also one of the most expensive address in all of Europe, just the sort of place where you would expect to find really wealthy people. Which are the parts of Marbella’s best residential areas that command the highest long-term and short-term rental rates? The Golden Mile, La Zagaleta or Los Monteros? No, surprisingly not. Usually the best addresses for property in Marbella are considered to be the famous Golden Mile – that millionaire’s strip on the coast running between Marbella town and Puerto Banús – and the super-exclusive country club estate of La Zagaleta. The luxury properties for rent in La Zagaleta and the Golden Mile are indeed sumptuous, often defying the description ‘villa’ and more accurately definedas mansions. Indeed, it is not entirely unusual to find such homes surpassing values of 15 million euros or more in these hallowed parts, with the luxurious seaside suburb of Los Monteros and the large country homes of El Madronal not too far behind. Most Expensive Areas in Marbella, Spain. | SpainForSale.Properties Luxury Real Estate For Sale & Rent. Interestingly enough therefore, the most expensive streets in Marbella were not in the abovementioned areas but in Nueva Andalucia, Sierra Blanca and Guadalmina Baja. Second in Marbella and third in Spain in the luxury rental stakes is Sierra Blanca, where an average monthly rent can cost you almost 20.000 euros. This figure just tops Guadalmina Baja, the peaceful, select beachside enclave where beautiful homes stand on large private grounds yet are just minutes away from San Pedro Alcántara and Puerto Banús. Then again, Sierra Blanca is an exclusive gated residential zone with commanding views that is a few minutes away from Marbella centre whilst backing on to the protected nature at the base of La Concha Mountain. Either way, it is clear why these areas are so popular, even though they did shake up the hierarchy in this latest report. Should you be interested in the Marbella areas mentioned above please contact us for more information, or if you are looking for villas, apartments and townhouse to rent in Nueva Andalucía, the Golf Valley and Marbella, please get in touch with our rentals department. SpainForSale.Properties is the leading luxury real estate specialist in Marbella and its surroundings. What is the first step to buying a Villa in one of the Most Exclusive Areas in Marbella, Spain? If you are thinking about buying Villas in the Best Residential areas in Marbella, Spain, finding a trusted Real Estate Agency is the first step. SpainForSale.Properties is considered one of the most trusted Exclusive Real Estate Agency in Marbella, Costa del Sol and other “Prime Locations” in Spain. Our properties For Sale and Rent portfolio features the most distinctive Real Estate For Sale in Marbella, Spain. Investments in “Prime Locations”. At SpainForSale.Properties we know how difficult it can be to start a search for a Houses For Sale in Marbella, Spain or elsewhere on the Costa del Sol. We are here to assist you with everything from the beginning to the end of your purchasing process. Our mission is also our passion, helping our clients selling and buying: Real Estate & Investment Brokerage. | SpainForSale.Properties.